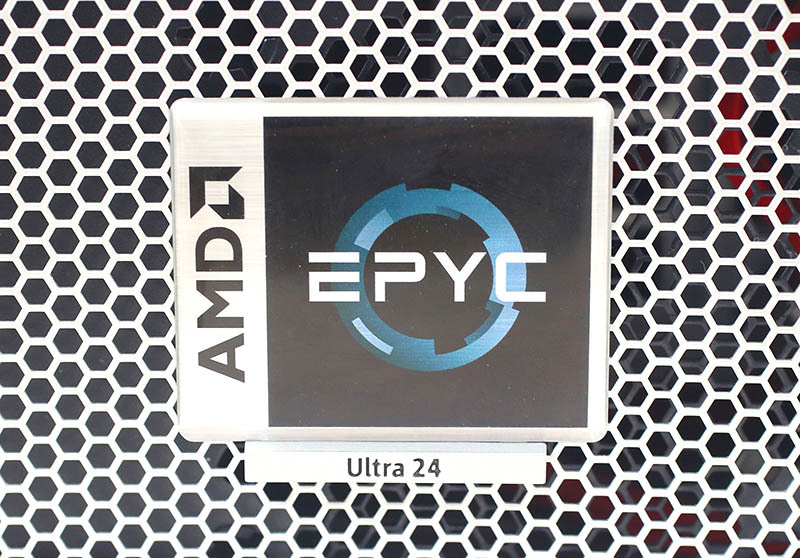 When picking a Sun platform for the Ultra EPYC, I wanted a Sun Ultra workstation. Sun Microsystems started in 1982, and was purchased by Oracle in 2010, making the company’s oldest products almost ten years old. 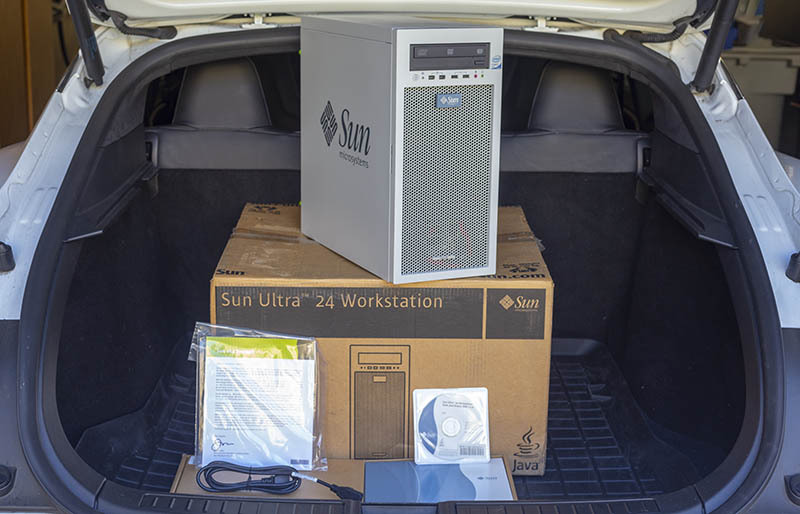 I had various Sun Workstations over the years including the Sun Ultra 5 and Sun Ultra 10 about 20 years ago. Those were frankly too old. 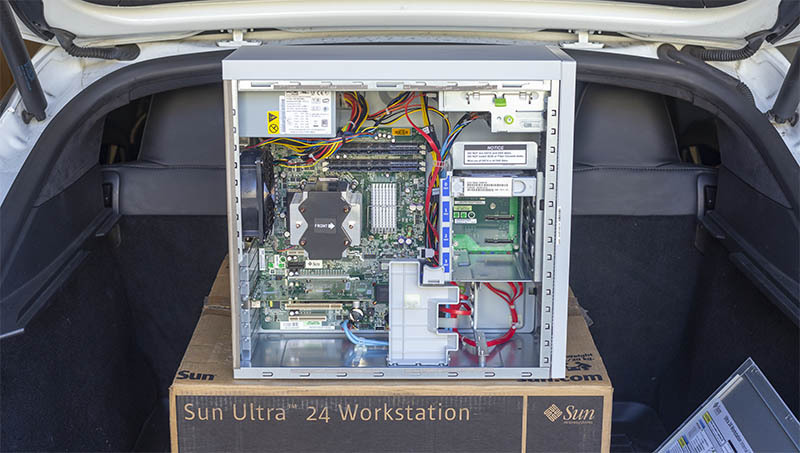 The Sun Ultra 24, codenamed “Ursa”, was notable because that was the first Sun workstation to switch from AMD Opteron to Intel, namely with the Core 2 Duo. Since we are doing an AMD EPYC build, I felt it was a good choice to bring back to the AMD side. I also remember that this workstation had a small easter egg, and we found a system that indeed included what I wanted. One of the cool things about being Silicon Valley-based is that tech happens here. A lot of servers and workstations are purchased, and a few see little to no use. I wanted to get as new of a Sun Ultra 24 as possible for the project. These are 12-year-old machines, so finding one without any signs of wear is not easy. 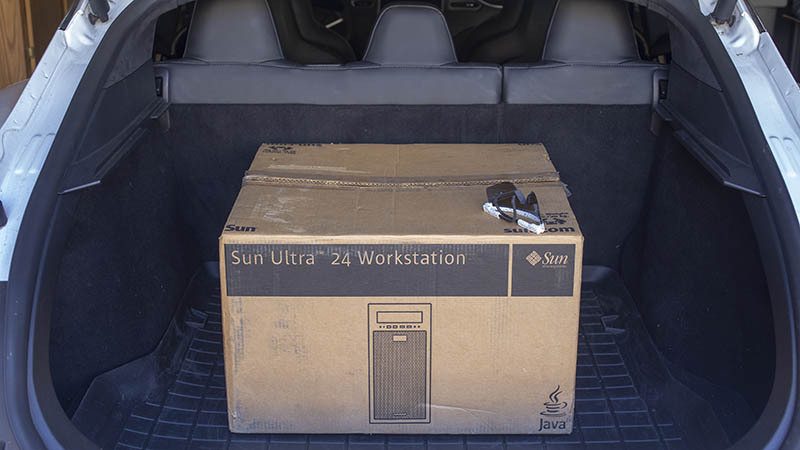 After calling some of our normal sources, I found a Sun Ultra 24 that I immediately called the “barn find.” It still had original packaging including manuals and a Solaris CD. The STH “Reviewber” delivery car carefully transported it home. I was so excited that unpacking did not even make it out of the trunk. Of course, that meant not even getting it out of the trunk before the cover was popped. Inside the box was a perfect Sun Ultra 24 system that had been powered up to an error, put back in the box, and not used. As you can see (highlighted), Sun said its workstations included AMD Opteron processors, but the Ultra 24 actually had an Intel CPU. In our case, an Intel Core 2 Duo E8600 that ran at 3.33GHz. John Fowler, do not worry. Twelve years later, STH is here to put a proper multi-core AMD processor into the Sun Ultra 24. This is a bit of trivia that you can tell your friends about. Next, we are going to show off the 12-year-old donor system, and the glory that was Sun hardware. There are even some parts that modern workstations have not been able to replicate as well. This article was so well done. It was cool to get a history lesson as well. Hey you missed that the case has thumb screws 10 years ago. We ran datacenters full of Sun gear. They were arrogant but they also made so much technology we still use today. Thanks for the article. I enjoy these restomod builds. I personally fit modern running gear into old SGI chassis. I currently run a Threadripper in an SGI Fuel chassis and have an Octane ready to go an ITX build with Ryzen 3000 when it is released. I’m impressed with how accessibel this is. Bend one part. break something else and you’re using EPYC in this old case. It looks like your power button isn’t working either but you’ve got IPMI so you can reboot from your phone if needed. 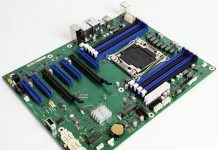 A $1550 CPU with 8ch ECC RAM? 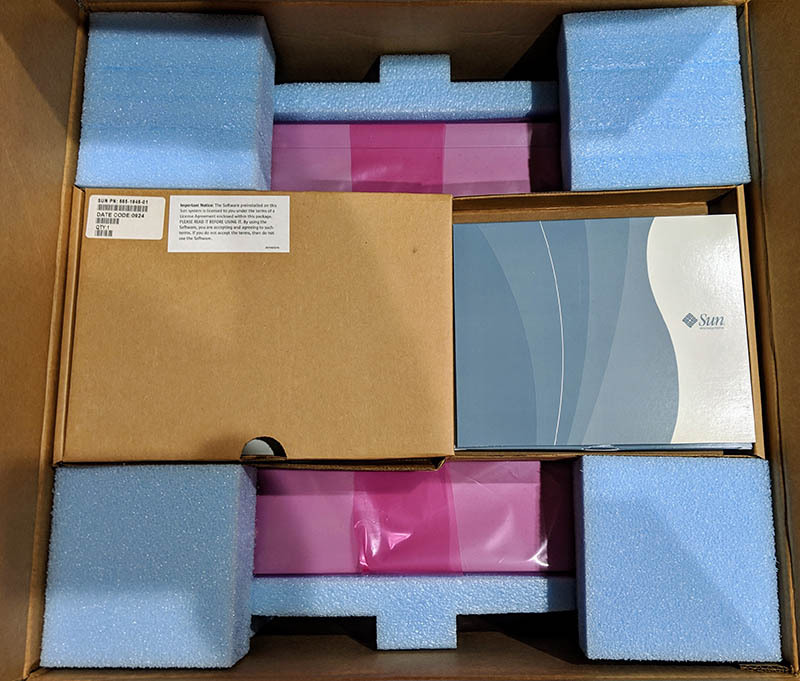 12.8TB SAS array and Optane? This is a Sun server not a workstation. The beauty mark comment was spot on. You’re showing why Sun was in decline and about to be sold to Oracle. What’s next, Patrick, a red sports car? I’m not gonna lie. STH is usually like the authoritative encyclopedia of content and this is totally not. But you’ve 100% nailed your demographic with this build. No RGB lights and a Sun logo. I can’t remember the last time I’ve read more than 2 or 3 pages on an article STH or other but I couldn’t wait to see more word for word. I just did a search for other Ultra 24 builds and there aren’t many. Maybe you’ve started something? I’m not going to cut sheet metal for a build, but bending a few bits I’ll do. I can’t wait until my interns this summer see a Sun box under my desk at work. That AMD easter egg was a 1 in a million find too as others pointed out. I love the thought process. You’re using IT SAS like SUN would with ZFS – no SAS RAID for that. Most people that do these are either gaming people or gaming people doing servers. It’s fun to see something that’s thoroughly modern with a nod to the past. That’s a mean pedestal workgroup file, VM and deep learning server too. 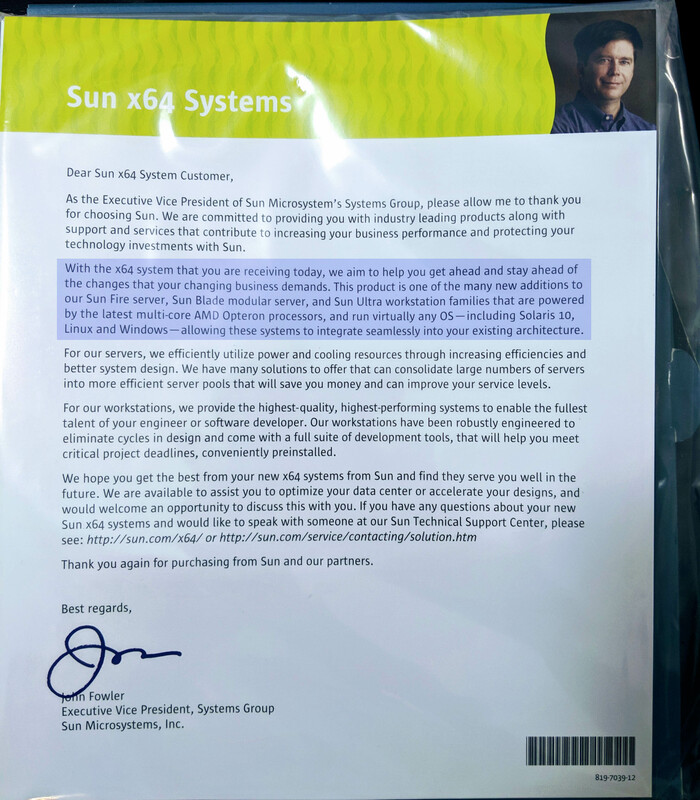 Really nice, I worked on Sun workstations for many years and have found memories of Sun and Solaris. Solaris was unbreakable Unix, too bad Oracle abandoned it. Changing gears, man, if you really NEED such hardware in your workstation you must be doing some awesome stuff – and doing it all at the same time. Nice – I’d pop the black faceplate off and get rid of the white writing. Every port is USB3.0 so why label it? The white writing is a bit of a distraction, but then again I like discreet things. Having sentimental memories of a 1990 Sun Sparc Workstation that we used to get orbital parameters, if I recall correctly Byte Magazine at the time reviewing the 20MHz RISC based CPU making note of how a spark is the last thing a user would want associated with their computer, thus odd naming selection, am happy if not excited to see this effort to revive a mint condition, classic upright Sun workstation case with new innards. Actually, Oracle still supports Solaris and releases new versions every now and then even though there are not as many engineers working on it anymore. Vlad, Solaris has been abandoned. No roadmap, just minor fixes. Well done! Would love to see a rebuild of a Sun Ultra 40 (M2)! The old AMD version before the Intel switch and the “beauty mark” but very different hardware layout (custom psu). I love the Sun workstation enclosures. If only someone would make generic enclosures that looked like that. Does anyone know if an EATX board would fit? I’ve been lurking at this site for a while now, and I really do appreciate the writing. There is one point of criticism though that if you would correct would be appreciated especially when one is doing a build. That item would be the cost breakdown of the build. did you put solaris on it? where are you finding these machines for 100? 395 is the cheapest on eBay, please let me know where i can pick a few up for a cool Benjamin!!!!!! I also have a U24, got it three years ago but for ~$300. It’s really great hardware, even by 2019 standards.